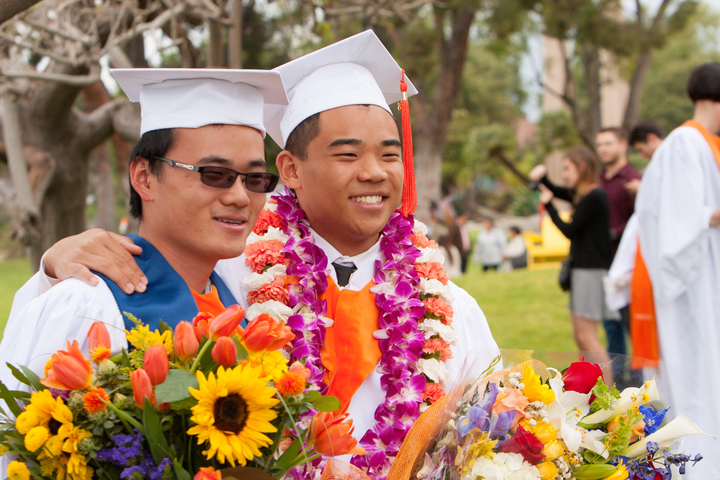 Today’s students and tomorrow’s leaders rely on the generosity of the Pitzer community. Your financial support reinforces Pitzer’s ability to recognize the academic achievement and potential of students now and in the future. You help us fulfill our mission of developing engaged, socially responsible citizens of the world. The Pitzer Fund supports every student, program, field group, and professor on campus. Unrestricted gifts to the Pitzer Fund can be used for any of the College’s current priorities, providing the flexibility to respond rapidly and take advantage of unexpected opportunities. Tuition alone does not cover the cost of a Pitzer education, and Pitzer’s endowment does not generate the amount needed to support the immediate needs of our students: the Pitzer Fund covers that gap. When Pitzer calls, we hope you will answer! Our student callers, who come from all over the world, gather in our on-campus calling center during the academic year to reach out to members of our alumni and parent community. They love hearing your Pitzer stories, talking to you about the Pitzer Fund and giving you the inside scoop about what’s happening on campus. By the time you hang up, you will be even more proud of being a part of Pitzer. Please take a moment to get to know Pitzer’s Phonathon Students! Want to keep tabs on their fundraising progress? Follow @PitzerPhonathon on Twitter! Each year, as graduating students transition to becoming Pitzer alumni, they have the opportunity to give back to Pitzer College. Students who give to the Senior Class Gift contribute to the experiences of future students and ensure that Pitzer can continue to develop socially engaged citizens of the world. The percentage of alumni who annually contribute to the Pitzer Fund is an important indicator of an institution’s quality. Alumni giving participation directly affects the College’s ranking in U.S.News & World Report. As Pitzer College rises in the ranks, so does the value of a Pitzer degree. Alumni are our closest stakeholders, and their loyal giving is seen as high endorsement of Pitzer’s mission and values. As many parents know, the dollars we dedicate to educating each student far exceeds the cost of tuition. In a very real way, each Pitzer parent, even those paying full tuition, are helped by the generosity of our annual donors. Led by the Parent Leadership Council and our fundraising Ambassadors, parents of first-year, sophomore, junior and senior students are challenged to give each year to the Pitzer Fund. Our aspirational goal is always 100 percent participation for each class! Pitzer faculty and staff give their heart and soul to the College in many ways throughout the year. On top of this, nearly 100 percent of staff members are loyal donors to the Pitzer Fund. Click here to learn more about the Faculty and Staff Gift Campaign. The Pitzer Society is the premier giving group for Pitzer College. Donors who give $1,963—the founding year of Pitzer College—or more qualify for yearly membership. We gratefully acknowledge the alumni, parents, friends, faculty, staff and trustees whose annual Pitzer Society contributions place them as our most generous supporters. In recognition of the College’s commitment to socially and environmentally conscious practices in all campus operations and in the education of our students, Pitzer Society giving levels represent the certification ratings of the US Green Building Council. With four Platinum LEED and four Gold LEED buildings, Pitzer is a leader in the council’s Leadership in Energy and Environmental Design program. The President and Pitzer’s Board of Trustees host an annual Pitzer Society Dinner and Auction each February during Family Weekend to honor our members. A memorial gift or gift in honor of a special person is a thoughtful way to remember someone while at the same time helping Pitzer College. Celebrate a person’s unique story by establishing a named fund or commemorate a loved one by naming a space or inscribing a plaque on Pitzer’s campus. Advancement staff are ready to work with you on your wishes for a special or memorial gift. Gifts of all sizes may be contributed to the Pitzer General Annual Scholarship Fund or one of the many Named Annual Funds already at Pitzer, like Class-Year Scholarships, the Internship Fund and the Student Research Award Fund. Individuals, or groups of donors, may also create a new Named Annual Fund with a directed spending purpose to support a project, initiative, field group, program or other activity or academic endeavor at Pitzer on a year-to-year basis. An initial gift commitment of $25,000 or more, which may be given over five years, is needed. During this time, donors will receive a yearly report about how their funds were utilized and the advances for the College thanks to their generosity. A minimum of $5,000 or more is needed each year to sustain an established Named Annual Fund. Through our continuing Take a Seat initiative, donors may honor a graduate, professor, friend or family member by inscribing a special armchair plaque on a seat in Benson Auditorium—our main venue for music and dance performances, lectures, special presentations, first-year seminars and more. Etched into brushed stainless steel, your personalized special message, whether heartfelt, inspirational or quirky, will become part of our campus today, and for many tomorrows to come. Each sponsored seat is $500. Please click here to make your donation to Pitzer College and submit your desired plaque inscription. You will be contacted shortly after your submission. Pitzer parents, grandparents and friends with students living in West Hall, 2014 Hall or East Hall are invited to sponsor a personalized accolade plaque to be installed on the wood bench in the study niche directly outside their room. This very unique “shout out” is sure to capture a good laugh or smile today and become an important place to visit and remember when returning to campus for Alumni Weekend years from now. Each sponsored accolade, inscribed on a 1” x 4” stainless steel plaque, is $1,000. Please contact the Office of College Advancement if interested; we will be happy to assist you. There are special places on campus where the Pitzer community can remember loved ones no longer with us with an inscribed memorial plaque, including the David Bloom Memorial Garden next to the Edythe and Eli Broad Campus Center and the Memorial Grove adjacent to East Hall. Memorial scholarships and other named funds can be established with the assistance of the Office of College Advancement. Gifts of all sizes may be contributed to the Pitzer General Endowment, Pitzer General Endowed Scholarship Fund or Pitzer Endowed Internship Fund. While annual giving supports the College’s immediate needs, endowment gifts add to our expertly managed principal that continues to yield returns for each coming year. Donors may also create a Named Endowed Fund to provide an enduring source of funding for the people, programs or places on campus they wish to nurture. Since the principal is not spent and a portion of the income is reinvested, a named endowment lasts in perpetuity and allows donors to establish their own named legacy or honor a loved one, respected colleague or mentor. Named Endowed Funds support lecture series, academic and extracurricular programming, student-faculty research, professorships and other important areas of activity and discovery at Pitzer. Donors and, whenever possible, legacy family members after their lifetime, receive regular reports about the impact of their support and the fund’s growing value. The minimum gift to establish a new endowed fund is $25,000. There is no maximum level for an endowed fund, and the donor may add to it at any time. Funding criteria have been established for many endowed funds to ensure that spending amounts generated annually have impact on their designated purpose. The Pitzer campus evolves with each generation to ensure that our older buildings continue to serve today’s scholars. Leadership gifts in support of our Master Plan play a critical role in the educational process. The College’s Advancement staff is available to review possible naming opportunities on campus in recognition of your gift. Personal tours can be arranged to explore you giving interests. Donations of any size may be made over the phone, by mail, or online. To give by phone, please call 909.621.8432 with your credit card information and the fund to which you would like to designate your gift. Or, click here to make a gift online. Please be sure to reference your name and purpose of the gift. The date of your gift, and how we value your gift, is based on the date the shares enter Pitzer’s clearing account. You can let us know about your gift at 909.621.8130 or giving@pitzer.edu. Pitzer welcomes your gift of $25,000 or more through a pledge—a formal statement of intention to make a gift to the College. With a pledge, you may complete your gift with a flexible payment schedule up to five years, allowing you to give more generously than you originally may have considered. What is more, each payment on your pledge is eligible for an income-tax charitable deduction. Including personal residences, second homes, income property and vacant land—offer a wide variety of tax and other benefits. Whereas most people give their entire interest away, it is also possible to give only a portion of the property (an undivided percentage interest) while retaining the rest for other purposes. Including rare books, works of art, valuable collectibles and tangible items of demonstrable value—in some cases may enable you to make a significant gift to support Pitzer with outstanding tax benefits to you. Likewise, gifts of intangible personal property, such as copyrights, patents and mineral rights, can generate income for the program of your choice on a continuing basis. You can maximize the impact of your generosity if your employer matches all or part of your donation to Pitzer College. Check to see if your company has a Matching Gifts Program. Pitzer College is proud to accept donations of cars, boats, trucks and RVs. Your tax deductible gift is made through an approved third party (Donation Line or Riteway Charity Services), with a percentage of the proceeds providing a gift to the Pitzer designation of your choice. To get started, please contact us about your intentions at 909.621.8130 or giving@pitzer.edu. When contacting our vendors, please specify that your gift is to benefit Pitzer College.